I mentioned this is the second series, but fear not: although this is the second Fullmetal Alchemist series, it’s not a sequel. It’s in fact a retelling of the story that follows the original manga more closely. 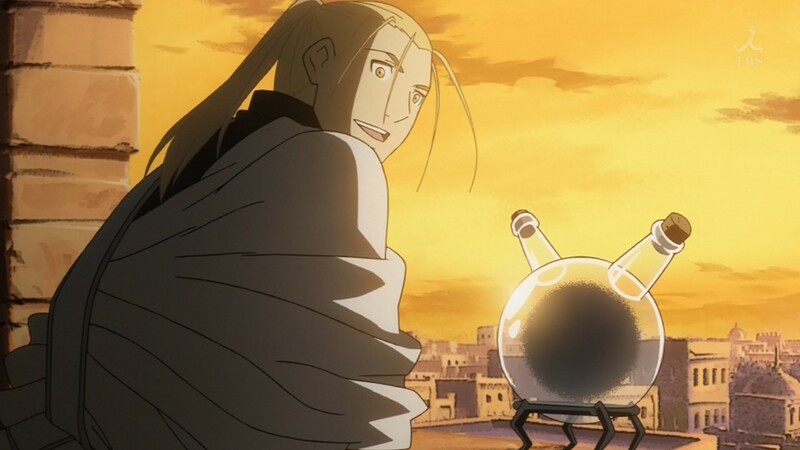 For those of you unfamiliar with this saga, Fullmetal Alchemist is based on a manga by Hiromu Arakawa. It’s about a world set in a fictional European-style 1900’s era where alchemy is commonplace, and treated as a formal science (although it’s actually performed like a magical ritual of sorts). 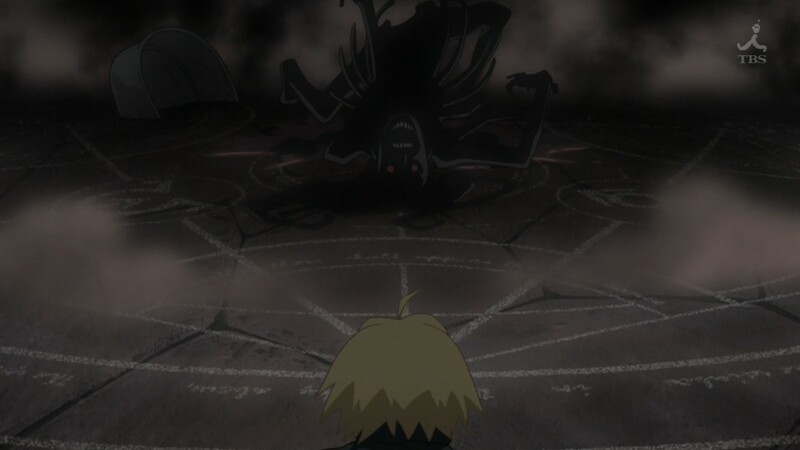 Alchemists are people who understand the law of equivalent exchange and are able to transmute matter with the help of “transmutation circles”. The circles and the process itself has a more mystic feeling to it than scientific rigor, since the alchemists are able to perform it by channeling power but do not fully understand who or why is it exactly that allows them to so. Their knowledge is limited to drawing the right transmutation circles, by knowing the chemical components of whatever it is they are trying to transmute. This would normally be a complaint against the plot, but it doesn’t go unaddressed. 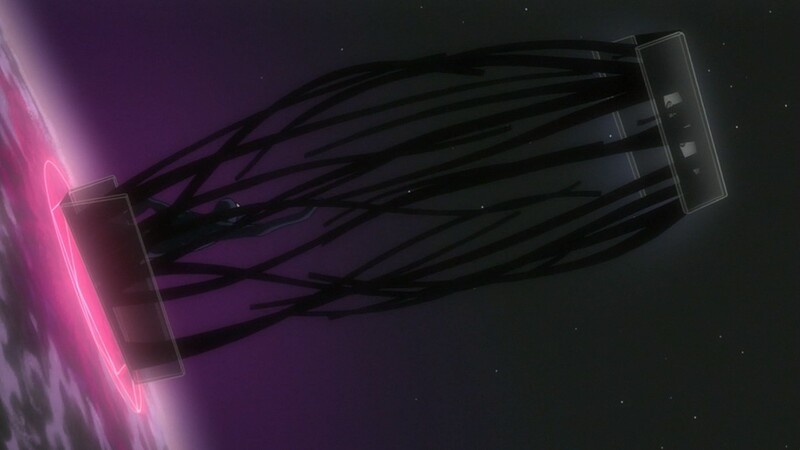 In fact, this very mystery is the main source of the overarching plot. There are several limitations to what the alchemists are able to do. The most important one being the ability to transmute human beings. Throughout the story, we learn that everyone that’s ever tried to transmute a human being back to life has failed miserably and has paid a steep price: they have lost parts of their own bodies. 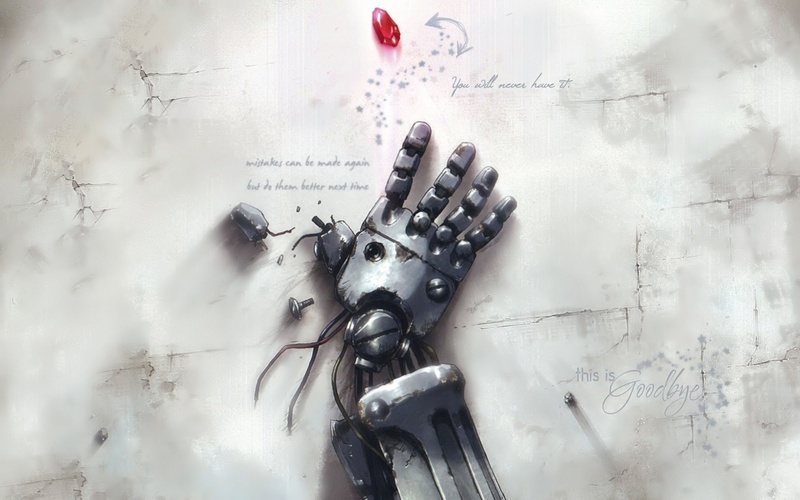 Such is the case of the main protagonists, Alphonse and Edward Elric, who tried to transmute their deceased mother. Ed only lost a leg, but Al got the short end of the stick and lost his whole body. 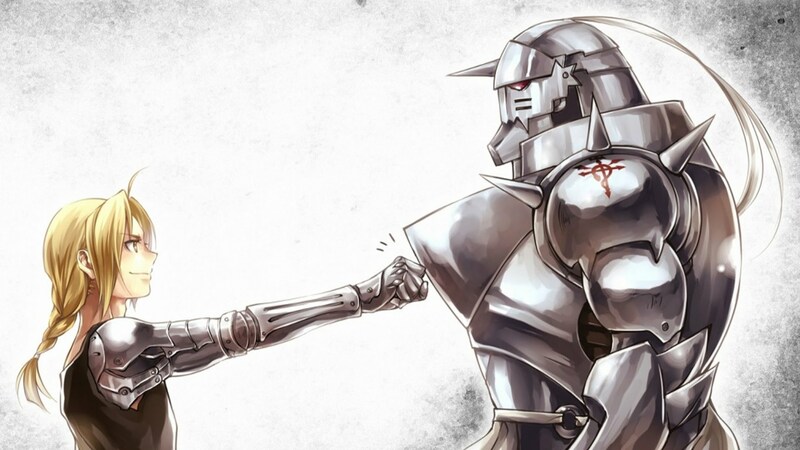 And so, in a desperate attempt to bring his brother back from wherever the transmutation circle took him, Ed sacrifices yet another limb – his arm – in order to tie his brother’s soul to a gigantic suit of armor. 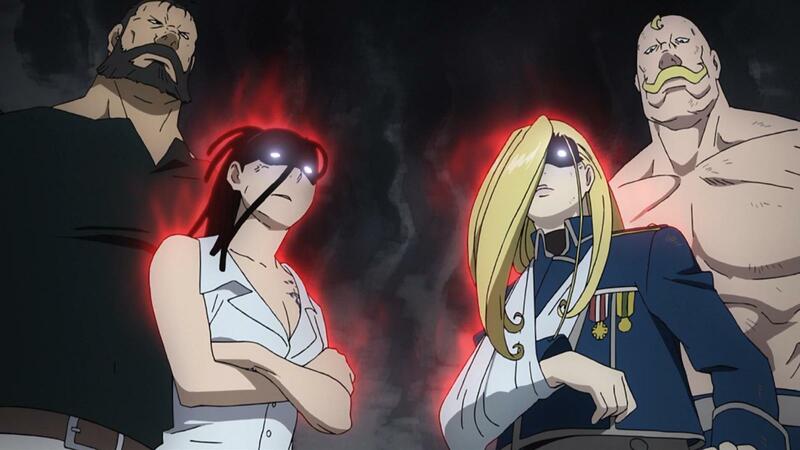 Shown from the very early episodes, this attempt by the Elric brothers helps set the tone and plot of the series. After breaking the most important law of alchemy out of innocence and ignorance, the result is a creature that in no way resembles their mom, and they are left with their bodies maimed and their souls crushed. Hence, a quest to try and recover their original bodies begins. 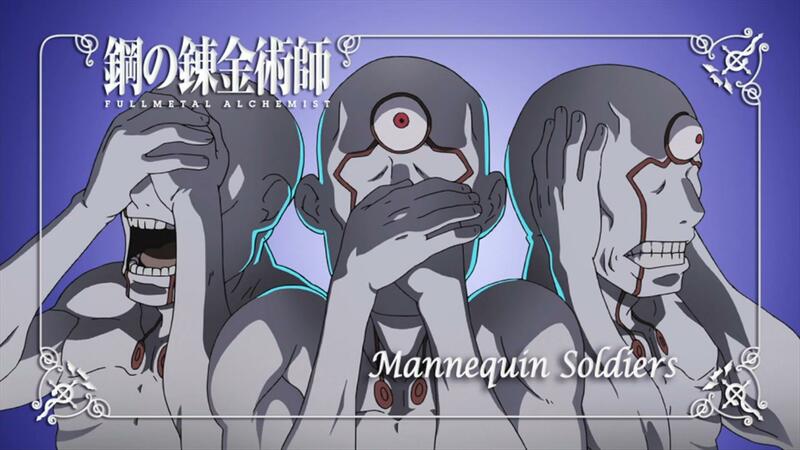 It’s also through that “unspeakable sin” the brothers commit, that we begin to see glimpses of the mysteries behind alchemy: a faceless and featureless being that calls himself “the truth” inhabit the other side of transmutation portals, and seems to be the one collecting the toll for all transmutations. Edward even has a brief conversation with him after being pulled through the circle and landing outside a gigantic door of “truth”. Their adventures eventually lead them to join the military, which endorses “State Alchemists” and their research while also having them serve as an élite force for keeping the country “in line”. Unaware that the job description secretly includes taking part in the occasional genocide, the brothers see this as an opportunity to look for and eventually research the “philosopher’s stone”, which supposedly allows the holder to perform transmutations without paying an equivalent price. But without spoiling the story any further, I have a lot of praise for this series. The brother’s journey is extensive and full of very distinguishable and likeable characters. The brothers’ relationship is the right kind of intense, and I’m sure a lot of people will be able to relate to them. I for one, was honestly moved by their camaraderie and honesty. The burden they both share is a heavy one, and it’s also the source of much shame whenever someone new learns that Al is nothing but a soul inside an armor. This makes them very believable characters. Also, I should note that most, if not all the supporting cast is very well-developed and they tend not to fall into any of the classic anime clichés. The female characters in particular are strong-willed and capable, which is commendable. It feels refreshing in an industry full of unnecessary fan service and often gross belittling of women. Behind every great woman there is a… silly mustached and muscled man? I loved how some characters differ from the first series. Most episodes of the first three seasons are relevant, action-packed, and well-developed. This makes it easy to watch even if you are not an anime fan, since the plot is always going somewhere and appears to be well planned and thought-out, which is rare for most anime today. It seriously gives western TV dramas a run for their money. And if you already like anime, this series is much more appealing and substantial than most of the mainstream anime in the last decade. While it doesn’t reach the artistic status of other productions, it’s a very interesting plot that keeps on piquing your interest, even in its most outlandish moments. The action and battle scenes are also top-notch, succeeding in keeping you at the edge of your seat. The mood and themes handled by the series reach a level of complexity that I honestly did not expect when I first heard about this series. It’s in fact something that kept me from watching it for several years, since I had the misconception that this was more care-free and superficial, and I was very glad to be proven wrong. The moral dilemmas and philosophy of this series go a tad deeper than all the long running anime from recent memory. 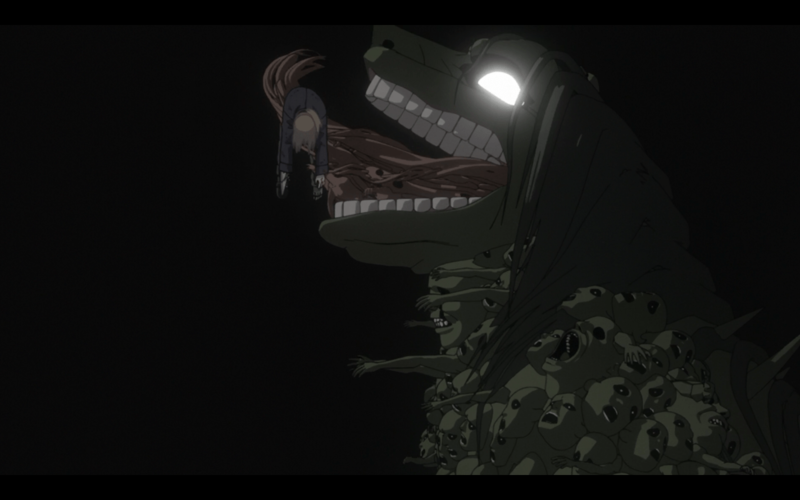 The creatures and gore are very disturbing, but not overdone either. They feel just right. Limbs, who needs ’em right? Giant dog made of souls? Check. It’s perhaps this aspect that provokes one of my only complaints, because the comedic moments are sometimes not well-balanced and seem out-of-place in certain, more dramatic situations. However, I do understand that this was done to better represent the original artist’s style in the manga, and it’s not a big problem since it only happens at the very beginning of the series and is quickly dropped (or at least, better placed). But the later half of the series (the 4th and 5th seasons, specifically), suffer from another defect. My second and last complaint is that the mysteries get solved almost entirely throughout the first three seasons, making the last two into the final act where all the characters and plot elements come together, and focusing on plenty of action scenes with circumstantial plot. To be honest, it feels just a bit dragged out. But don’t let that discourage you from watching, since all the action is more than worth it, as well as the final revelations and consequences. To wrap this up, I urge you to give this one a try whether you are in the habit of watching anime or not. It’s a better than the first series and more compelling than most of the mainstream stuff out there. But if the more artistic stuff is more of your liking, hang on, more reviews and recommendations are coming! 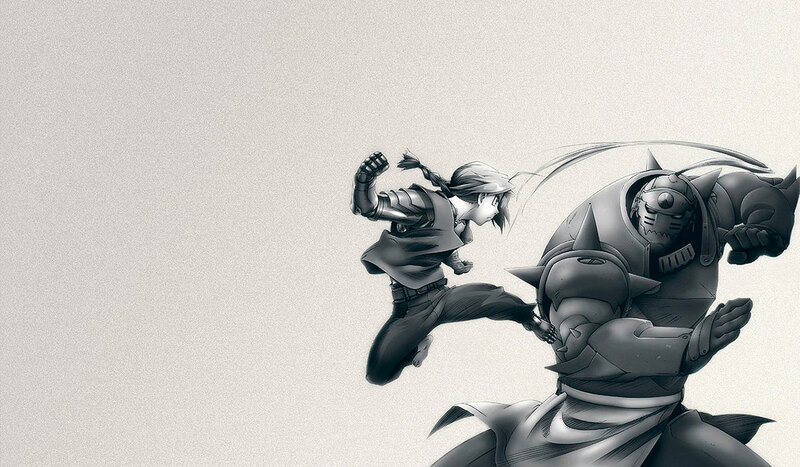 I leave you with all the relevant info and my personal rating for Fullmetal Alchemist: Brotherhood, as well as a video of my favorite opening song so you get a taste of the extremely cool animation.